One might actually dismiss rumours linking Neymar with a move to Paris Saint-Germain as a joke, considering how outlandish they sound in the first place. 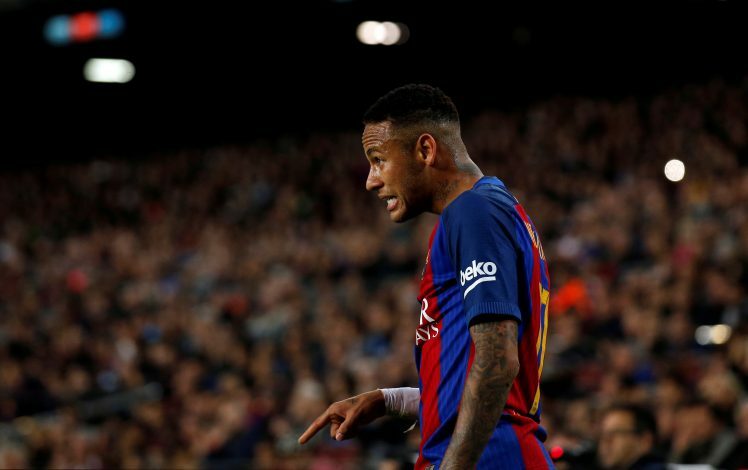 But according to the Brazilian TV channel Esporte Interativo, Barcelona’s star forward might be soon be completing a switch to the capital city of France. It is understood that this might be the biggest investment on a player in sporting history, as PSG could be paying up to €222 million to trigger the winger’s release clause. There is no other option for the Parisian club, as Barcelona consider Neymar as good as priceless. The wages are also expected to be higher than his already €15 million-a-year salary package at the Catalan club. There are several reasons why this move could actually take place, with the most major one being the Brazilian’s drive to be the best in the world. The 25-year-old feels shadowed by the greatness of Lionel Messi, and believes that it will be the same for some time in the future, unless he moves out. This does not indicate any discord in between the relationship between Messi and Neymar, but the move is solely understood to be based on career ambitions. Paris Saint-Germain have also planned a renovation of their team. With Marco Verratti in midfield and his fellow compatriot Dani Alves in defence, Neymar will no longer feel isolated as a Brazilian, like he previously used to at Barcelona. His father, who has played a significant role in his life, is also not a great fan of the Catalan club. Their relationship has been sour at times, and was at a low when they failed to sign Lucas Lima from Santos. Since Neymar’s move to Spain, his father has been recommending Brazilian players and earning a commission on the same. But a verbal deal with Santos broke down due to technical issues, and the superstar’s father has been looking for a way out every since. While the entire saga seems outrageous, it makes sense on some levels, and it would not be right to dismiss this as just another transfer rumor. That being said, the player is certain to play against the two giants of the game, viz. Real Madrid and Man Utd, in the pre-season games for Barcelona.